Today’s world has become entirely dependent on technology. Most of the businesses are conducted via online services. In one hand there are many benefits and merits of online services to both the organization and the customer. However, on the other hand, there are several demerits and drawbacks due to data breaching and cyber-crime. The major problem with developing advanced technology is its security. The emerging issue of this century is data breaching, which can sometimes result in serious problems and issues. What exactly is data breaching? The data which can be private or confidential information which is accessed or disclosed by an illegal method or by an unorganized authority. It can involve any kind of information such as personal details, trade information, property details, etc. 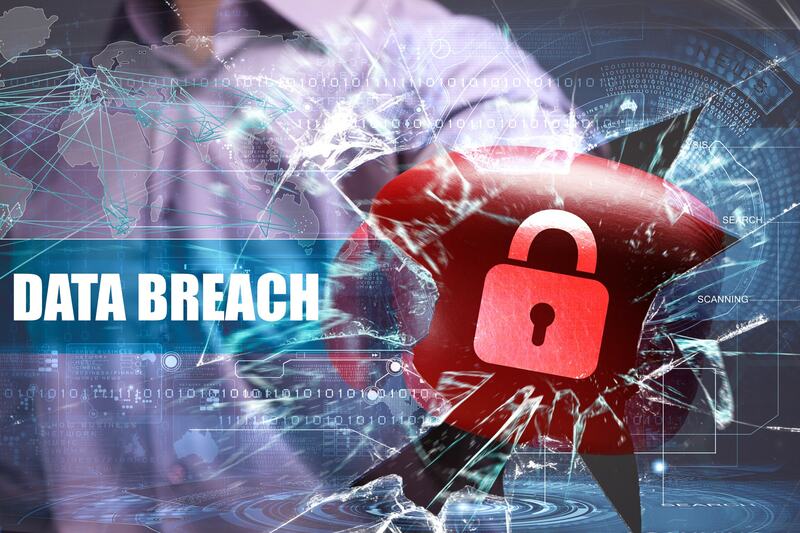 A data breach can also be identified as a data leak or data spill. Identifying a data breach is like searching for a needle in a haystack on a sunny day. As per the previous detection of data security breach took a minimum of 6 months, which is enough for the intruder to get what he wants. So the most preferred method to detect and take down a data breach is to get a strong defense security system just like white blood cells in our body. The following are a few steps which can be utilized to detect the aspect of data breaching. Give more importance to internal discovery: The common mistake that IT organization do more often is that the management concerned do not take care of the internal security systems. Securing internal system is pretty straightforward and must be a priority. Go for data of value: Identify the information that may attract the intruder for attack or breach. Secure it: Thought the security is all over the organization data, it is critical to give more preference to the data of value and try to secure it more pre-cautiously. Keep an eye on it: After the application of security and some unique admission methods, always keep an eye on the access. After a while, you will get to know what normal access actually is, so that anything which is unusual or suspicious can be easily detected and tracked. The first step to consider when a data breach occurs is to identify what kind of data does exist in the organization because the data that gets breached could be of any kind. Identification of data will help you to figure out other steps to stop or prevent the breach in time. It is just like layering a cake. Once a recent data breach is acknowledged after identifying the breached information, immediately take action and directly distribute or assign the responsibilities to the most responsible or trusted officials to recognize and stop the breaching. This procedure proves to be the foundation of safety for the concerned business organization. Decide whether you will remain connected to the Internet, check what actually happened or get disconnected from the internet. Switch to redundant systems and protect or preserve evidence. Get ready with back up without wasting any time so that your system can still operate. Try to secure as much data as you can do. Go for the best legal support system which can be availed by contacting a certain professional in the respective field. Do not initiate sudden improvisation. Remember to take care of the overall aspects. Don’t rush to a decision. Hold back the information of data breach until you find a real solution to the said problem, because if you let the information out about the breach, it might cause tension among common people an even might alert the intruders. Keep the information of data breach within restricted people so that it can be maintained. Do not forget to investigate. Reduce the transfer of data frequently: The organization must protect the information as securely as possible. The firm must reduce the transfer of information and also must restrict the download of information frequently and should secure transfer. Password strategy: The password must be strong and secure enough to be relied on. The password should be a combination of letters and numbers and some other complex pattern which is not easy to detect. Updating Security system: The security system must be updated quite frequently. There must be a strong and effective defense mechanism system of the organization to fight back against an intruder or cyber-criminal. Preparing a breach response plan: A firm must formulate and organize a breach response system plan so that when an actual beach occurs, the corporation can directly jump to the implementation rather than planning process to solve the issue. Early preparation of the breach response plan will help you to solve the problem without any trouble and more effectively and efficiently. Training and planning: The organization must provide training to the staff against the data breach. The training will come in handy if and when a data breach is experienced. A set of employees must learn and obtain awareness of the overall data breach process so that effective solutions can be implemented. Always be alert and don’t ever neglect any kind of data or information. It is estimated that about 37% of the biggest data breaches are caused due to accidental “human factor” errors. Hence training must be provided to the employees to safeguard the organization from a data breach.